Below is an interview with Phil Ruston programmer of classic games including Aquanaut and the Giddy series. Phil's games are held in high regard by AmigaPd with two of them receiving game of the Month awards (Giddy in October 2009 and Aquanaut January 2011). How did you become involved in computer game programming? I was one of the generation of kids who went through the whole ZX81->Spectrum->C64->Amiga home computer boom. Also being interested in electronics, I was fascinated by the early arcade games like Space Invaders and Scramble. I guess the desire to make my own games stemmed from there. How many amiga games did you publish? 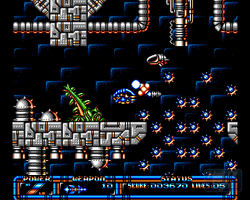 I wrote five Amiga games; "Violator", "Operation Firestorm", "Wibble World Giddy", "Giddy 2" and "Aquanaut". 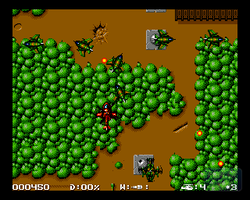 Violator (a vertically scrolling shoot 'em up) was commercially released as a budget title by Codemasters. How difficult was it to get games accepted by commercial software houses? Was shareware a viable option for Amiga programmers or did piracy affect this area too? Did you work independently or was them a team involved in programming, graphics, music and game testing? How did you ensure that the learning curve was appropriate on games such as Aquanaut? Which programming software did you use? Devpac for assembly, Deluxe Paint for graphics. I used public domain tools for things like graphics conversion and compression and made my own basic tools for map design and sound effects. Were there any major restrictions with the Amiga in terms of what you could do creatively? What part of the game creation process did you like the least? Play-testing was probably the most tedious aspect (due to the repetition involved). Also, I had a love/hate thing with doing the graphics.. I don't really have any natural artistic skill but I liked messing around in Dpaint. Occasionally something would appear that I was happy with.. but it could be frustrating). Were there any unfinished amiga games and if so how close were they to completion? Which of your games is your favourite and why? How did you go about creating a game - was it all planned out in detail with sketches or did they just evolve? The Giddy games had some basic planning so I knew in advance how the puzzles were to work (less so in Giddy1 as the "puzzles" were deliberately quite random:) But generally, yeah I'd scribble down notes and sketches and then go off on various tangents. Which games influenced your work? How did you generate ideas for games? Really just by looking at the games review mags and 'borrowing' things from arcade/console games. It all went into the melting pot..
Where did the inspiration for the Giddy character come from? Screenshots are from Hall of Light Amiga Database. Aquanaut was AmigaPds game of the month in January. It was also reviewed in The One Issue 79 receiving 93% and Amiga Power Issue 49 receiving 4/5. 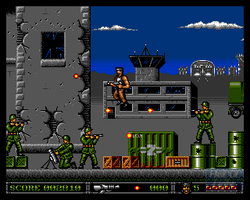 The game was also available as a cover disk on Amiga Format issue 102. To read these reviews and to obtain a copy of the cover disk - visit the Amiga Magazine Rack. The game can be downloaded from Phil's website. Giddy was AmigaPds game of the month during our launch month of October 2009. It was also reviewed in Amiga Power issue 31, receiving 4/5. A cheat / walk through for the game was given in The One magazine issue 61. The game also appeared in the One magazine as a cover disk in issue 59. To read these reviews / cheats and to obtain a copy of the magazine cover disk visit Amiga Magazine Rack. Giddy 2 was reviewed in Amiga Power issue 46 receiving 3/5 and also in the One Magazine receiving 85%. To read these reviews please visit the Amiga Magazine Rack website. 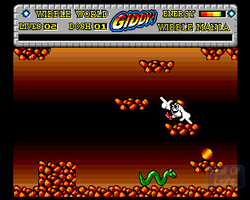 Screenshot for Giddy 3 was taken from Phil Ruston's webiste. The game can be download from this location too. 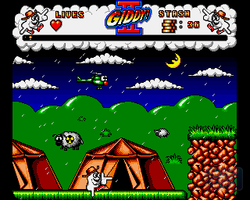 Giddy 3 was made available to later models of the Amiga. The Game was reviewed in The One Magazine issue 65 receiving 88%, in Amiga Force issue 16 receiving 85% and also in Amiga Computing. To read these reviews please visit the Amiga Magazine Rack website. Operation Firestorm was a F1 Licenceware game. Violator was a commercial game but is included to showcase all of Phil's games. This game was a commercial release and therefore AmigaPd will not be providing information on how to obtain download images of this game. Is Giddy still popular today and are there any more planned updates? What characterisitics make a good game? Which computer system did you most enjoy working on and why? The Amiga was the best home computer, no doubt about it. The custom chips offered so much, the OS made working with the various utilities a pleasure and the 68000 was an excellent processor (insert obligatory grumble about the x86 coming out on top!) I also really liked the Action Replay cartridge on the A500, it was a great help when debugging. Do you believe the computer industry has lost the creative freedom that existed during the 8 and 16 bit machine days? Well everything now is so slick and mainstream.. There just isn't the same feeling of fun, experimentation or community that existed in the 80's and 90's. Do you think Amiga games will be added as part of a vritual console on the Wii / Xbox 360 - PS3 in the future? Once something's in the digital domain, it'll probably exist forever so I wouldn't be surprised. Whether anyone will want to play them though, I don't know - people's expectations are so high now..
Are you still involved in the computer game industry today? AmigaPd would like to thank Phil Ruston for kindly agreeing to the interview. We have certainly enjoyed playing his Amiga games and if you have still not played the delightful Aquanaut or the Giddy games, then what are you waiting for, play them today, you will definately have fun. 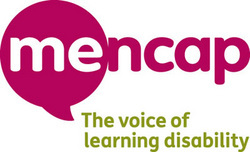 We hope you enjoyed reading the interview - remember AmigaPd is charity ware - please visit our just giving page to support our chosen charity Mencap.